Every job have some unique health risks associated to it. For instance, construction workers are prone to physical accidents; and Brokers face high economic risk and possibilities of cardiac arrest. Likewise, every banker faces a number of health risks related to the nature of their work. 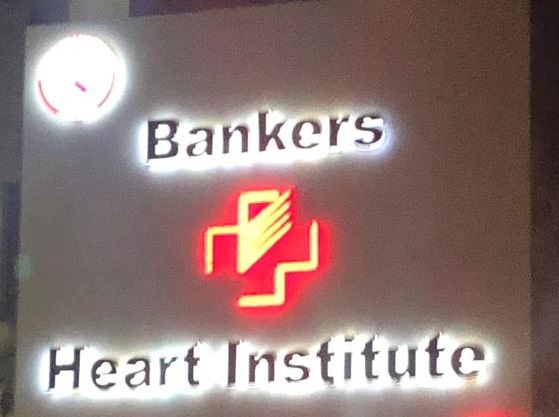 No doubt that every bank provides medical insurance to its employees, the nature of these medical facilities generally does not cover many of the health risks associated with a banker’s job. Medical insurance given to the bankers does cover the cost of surgery for eye-related ailments, but it does not provide for any preventive care of eye – related issues that every banker face. Generally, a banker has to directly look at the computer screens for 7-8 hours a day, which amounts to a great stress in the eyes. This naturally deteriorates the health condition of the banker’s eyes. No medical facility is given to bankers to keep their eyes healthy. We can only get the medical facilities when a surgery is required. There is an urgent need to provide for a preventive health problem facility to help the bankers keep special care of their eyes. 2. Medical facilities for prevention of Blood Pressure & Diabetes. A survey among the bank employees would reveal a fact that blood pressure and diabetes are very common among them. The unimaginable pressure of work and short deadlines make blood pressure and diabetes a common problem for every banker. But the existing medical facilities given to bankers fall short in giving any suitable relief. This problem is not common to bankers but every desk job that makes the employees sit for 7-8 hours. Again, the medical facilities provide for relief only when a problem become critical. What is needed is a preventive Healthcare policy which might not even require a significant expenditure. The problem might be tackled even if banks allow the employees to take a break from the long stretches. Believe it or not, stress and depression does affect every banker, at one point or another. But there are hardly any satisfactory facilities available for such problems. Bankers need an effective medical support system to counter the devastating effects of stress and depression upon bankers. This list might not be exhaustive, but it does raise a question regarding the amount of thought that is put behind the choice of medical aid provided to the bankers. Please feel free to suggest any such instances where bankers require a better medical support from the banks. Previous Bank strike: is this the only way?